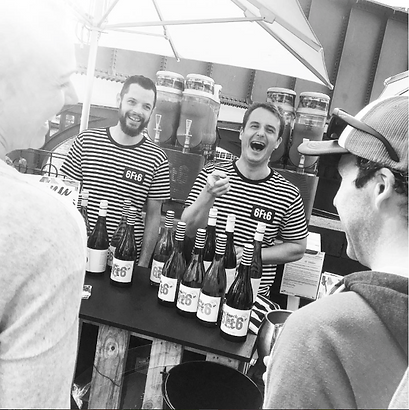 Pinot Palooza is heading your way, in Melbourne on October 7 and Sydney on October 8. We will be there for both events and answered a few questions for the lovely folks over at Pinot Palooza. This was published there originally and you can read all of the wineries profiles here. Moorabool Valley can produce wines of great power and concentration but with precise varietal definition and deft balance. Pinot Noir has all the lovely character of Pinot… cherry when ripe and strawberry when picked earlier. Largely continental in nature, but with close proximity to the southern ocean and generally quite dry in summer, allows for full ripeness to be achieved but with finesse! Ancient volcanic soils containing limestone giving perfect soil profiles for viticulture. A rich history in viticulture and winemaking where during the 1860’s was the largest vineyard area in Australia as the early European settlers saw the great potentiation for growing quality fruit around the Geelong region. It is difficult to choose one thing to do. The valley is filled with many many quality producers. The one thing you must do is the Moorabool Valley Taste Trail.